K & G Limousine is one of finest limousine services in Baldwin, New York. K & G Limousine has Various fleet of limousines and town cars in Baldwin and ready to provide all type of transportation services. 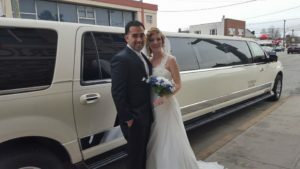 If you are looking for luxurious, courteous and reliable Wedding Transportation on Long Island, you have come to the right company! We are No.1 wedding limousine service in Baldwin, Long Island. Check out on Knot. When you need a company to provide New York limousine service and prom limousine service New York, K & G Limousine will be Happy to help you. We take pride in the fact that we have special limousines for special clients like you. K & G Limousine aim is to offer our customers with the finest and quality prom limousine service New York and Long island available at competitive prices.